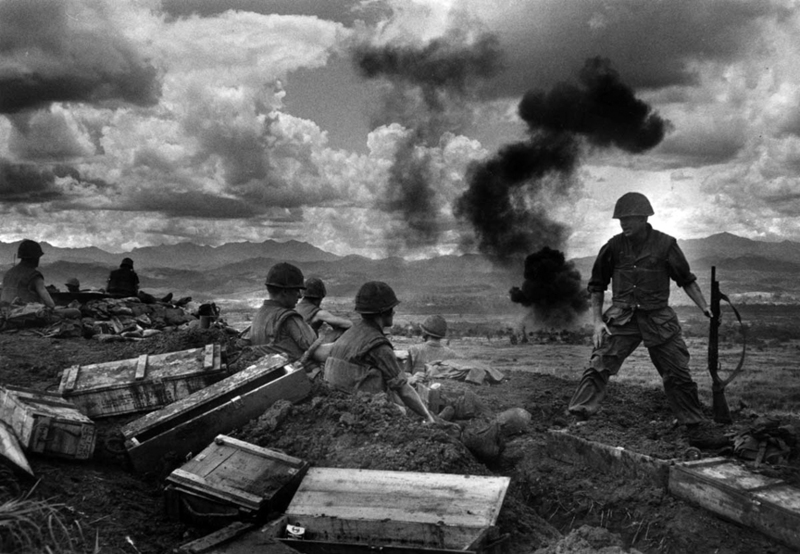 In early September 1967, the 3rd Battalion, 26th Marines—“The Professionals”—took on an entire NVA regiment in the vicinity of Con Thien, blunting a major ground assault on that combat base. It was God awful, but on the other hand one of the proudest events in my life,” said Rick Eilert in January 2010. “Yet still I feel a terrible sense of guilt for having survived.” In September 1967, Eilert was a 19-year-old private first class with the 2nd Platoon of M Company. He was referring to the deadly battle of Sept. 10 near Con Thien. In late summer 1967, the 3rd Battalion, 26th Marines, under the operational control of the 3rd Marine Division, took its “time in the barrel,” as Leathernecks called duty around Con Thien. The 3rd Battalion was dispatched to the area to secure the combat base’s endangered main supply route (MSR). The MSR ran between Con Thien and Cam Lo, located on Route 9. The battalion consisted of Headquarters & Service, India, Kilo, Lima and Mike companies. An average rifle company had 190 men. Alongside the riflemen were platoons of B Co., 3rd Tank Bn. And A Co., 3rd Anti- Tank Bn. Just two days after arriving, on Sept. 7, separate battalion elements were attacked three miles southwest of Con Thien by two NVA battalions from the 812th Regiment, 324B Division. As it turned out, those NVA were based in the heart of the Marine AO. They nearly overran the Marines amidst darkness. Throughout the ordeal, Capt. Tom Early, battalion communications officer, remembered how “the NVA dragged away their dead with meat hooks that had ropes attached … I think they also did it to demoralize us.” Perhaps 50 NVA were killed. But the Marines paid a heavy price, too. Sixteen were KIA and some 70 WIA. Lance Cpl. Charles Bennett had to retrieve the dead. “Some of the guys were already decomposing,” he said. “They smelled terrible and some were blown all to hell.” Mortar and rocket fi re accounted for 80% of Marines killed that night. The churchyard was only a prelude of what was to come. Sept. 10 proved to be more than twice as deadly. While advancing to a new sector, the 3rd Battalion was attacked by the entire 812th NVA Regiment four miles southwest of Con Thien. Isolated into two separate defensive perimeters, Marines were hit by enemy waves. 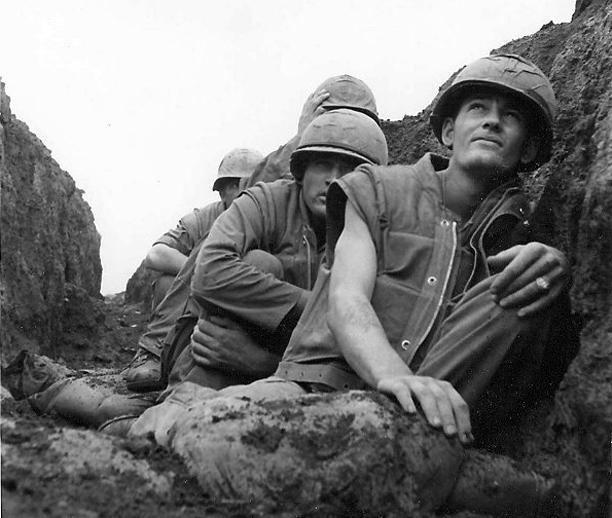 The battalion objective that day, according to James Coan, author of Con Thien: The Hill of Angels, was Nui Ho Khe—the stronghold of the 812th NVA Regiment on Hill 88. The 26th Marines— “The Professionals” as they were nicknamed— may have spoiled a major enemy attack in the making by engaging the NVA when they did. The four-hour battle—from 4:15 p.m. to 8:30—began with a barrage of 140mm rocket rounds followed by a coordinated ground assault. At one point, a full NVA battalion rose up from a rice paddy in unison. It was like a shooting gallery for the Marines. “I thought they were stoned,” recalled Bennett. Tanks were awful handy in these circumstances. Tank machine guns mowed down up to 40 NVA in one instance. Incredible acts of bravery were displayed. Sgt. David Brown, platoon sergeant of 3rd Plt., L Co., was on his last day in-country. He repeatedly and single- handedly charged enemy positions, disrupting the enemy assault on his unit. While encouraging his men, he was mortally wounded. Brown was nominated for the Medal of Honor, but received the Navy Cross instead. Cpl. James J. Barrett also was awarded the Navy Cross. A squad leader in I Company, “he rallied his men, reorganized the platoon and led them in an effective counterattack,” says the citation. Over the course of this battle, Barrett tended to the wounded and assured their evacuation. No less than five times, he took the initiative of repositioning his men to stop the NVA. Meanwhile, on Hill 48, M Company, commanded by Capt. Andrew DeBona, faced its own life-and-death struggle. 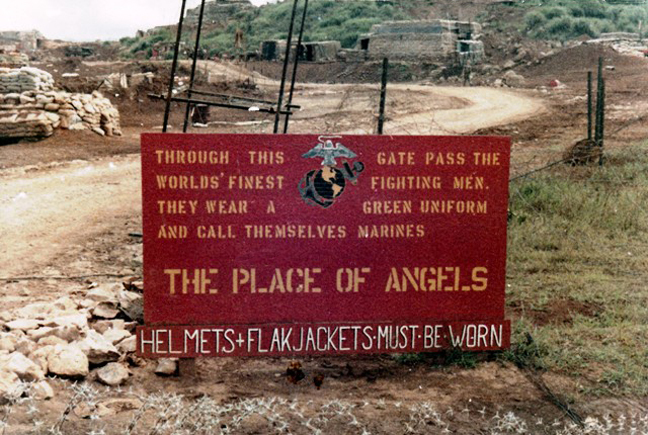 Hit by an enemy assault led by NVA wearing USMC flak jackets and helmets, it repelled the attack. Ontos, Greek for “thing,” resembling small tanks armed with six externally mounted 105mm recoilless rifl es attached—which mowed rows of NVA “down like they were corn”—were critical to Marine survival. Lance Cpl. Randall Browning commanded an Ontos of A Co., 3rd Anti-Tank Bn. Despite being seriously wounded, he repulsed NVA charges with various weapons. Browning was instrumental in “thwarting the enemy’s attempt to overrun the battalion’s position and prevented the capture, injury or possible death of many Marines,” according to his Navy Cross citation. That was not all. When 20 Marines became stranded in a bomb crater out front of the lines, DeBona led a reaction force to the rescue. He remained behind to cover the withdrawal, counting 39 NVA bodies in the crater. The captain was the last man to leave that hole in the ground. He was recommended for the Medal of Honor. The day after the battle, Marines policed the area for NVA corpses. “We found two lines of enemy KIAs connected by meat hooks through their shoulders,” DeBona said. Beginning in 1999, Taggart made it his personal crusade to see them recognized. Finally, in 2001, Hickenbottom received the Silver Star. Unfortunately, McNeese had died by then. For all the Marines present, the experience was harrowing. 2nd Platoon of M Company had set up just past a huge bomb crater to the west of the company command post. “Swarms of NVA came directly toward us,” Eilert said. “If they got up to our line, we drove them back every time. However, NVA dressed as Marines made it into our lines. I found one dead NVA so disguised. More than 140 NVA dead were counted on the battlefield. Yet it had all been at a steep cost in Marines. The 3rd Battalion sustained 37 KIA on Sept. 10: 34 Marines and three Navy corpsmen. K Company alone suffered 17 KIA—46% of the total. Once again, rocket and mortar fire inflicted the greatest casualties, accounting for 75% of the dead. In addition, 192 men were wounded. Postscript: Rick Eilert was severely wounded on Nov. 26, 1967, near Thua Thien as part of Lima Company. Hit by shrapnel from two grenades and shot at point-blank range, he survived only to undergo an incredible number of painful operations over the next 43 years. He chronicled his recuperation at Great Lakes Naval Hospital in For Self and Country in 1983 (republished in 2010 by Naval Institute Press). A veteran’s advocate, he became a member of VFW Post 11020 in Lake Zurich, Ill., and served as project director for the Vietnam Veterans Leadership Program in Chicago. After having his leg amputated in 2010, Rick later died of a heart attack at age 64 on June 9, 2011. He is buried in Arlington National Cemetery.